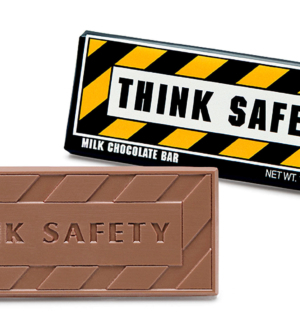 Each milk chocolate bar measures 2″ x 5″. 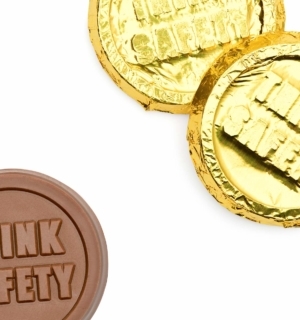 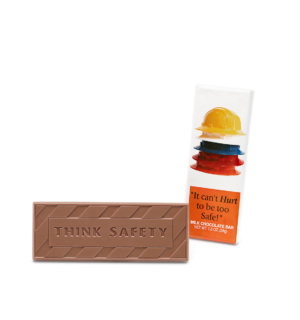 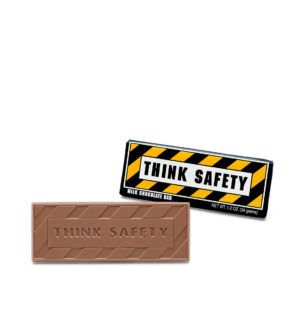 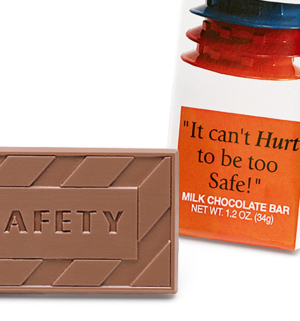 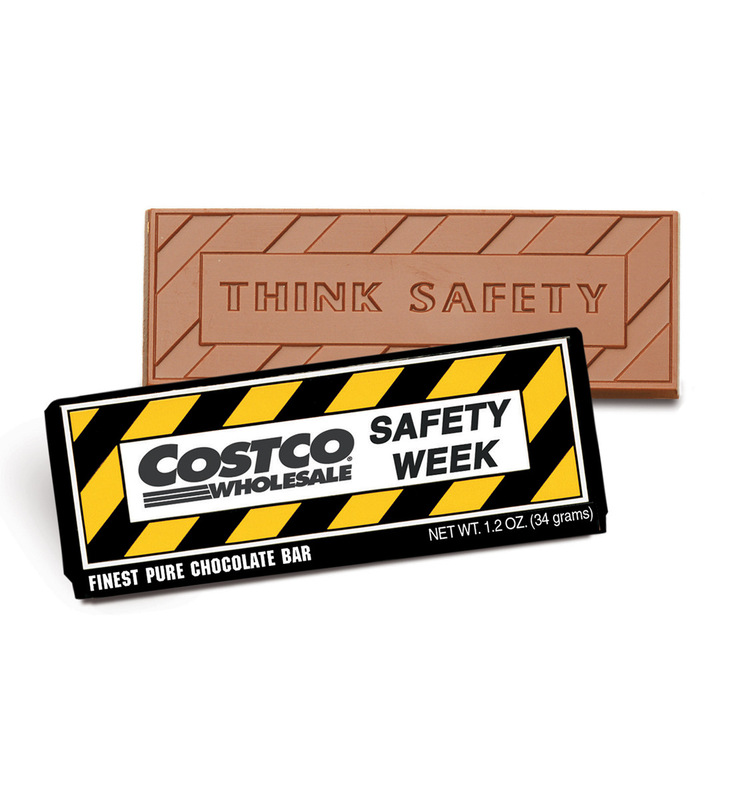 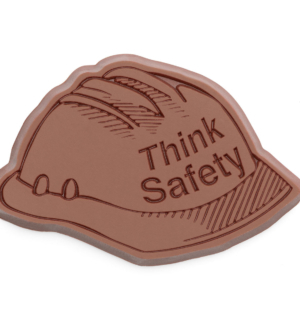 The colorful wrapper surrounds a “Think Safety” engraved chocolate bar. 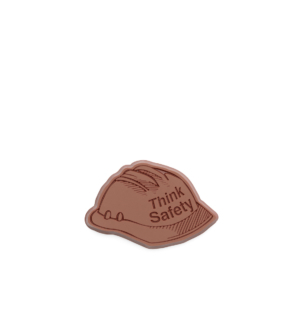 Case quantity 50.